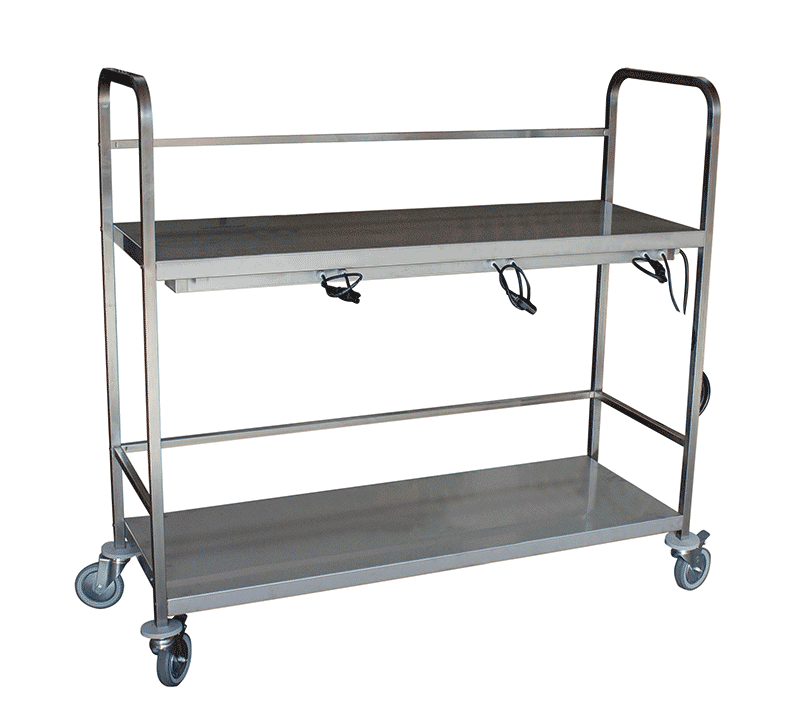 The heavy duty stainless steel cart SUPER CADDINOX performs with its high load capacity and it very easily manoeuvrability. 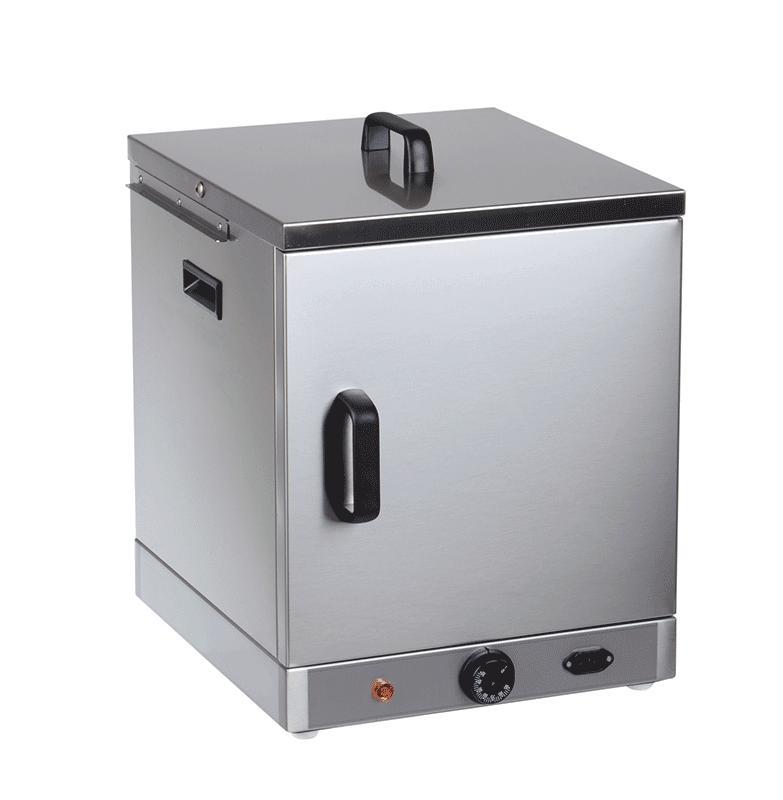 The electric HOT BOX (500W) is made of stainless steel and is completely insulated. 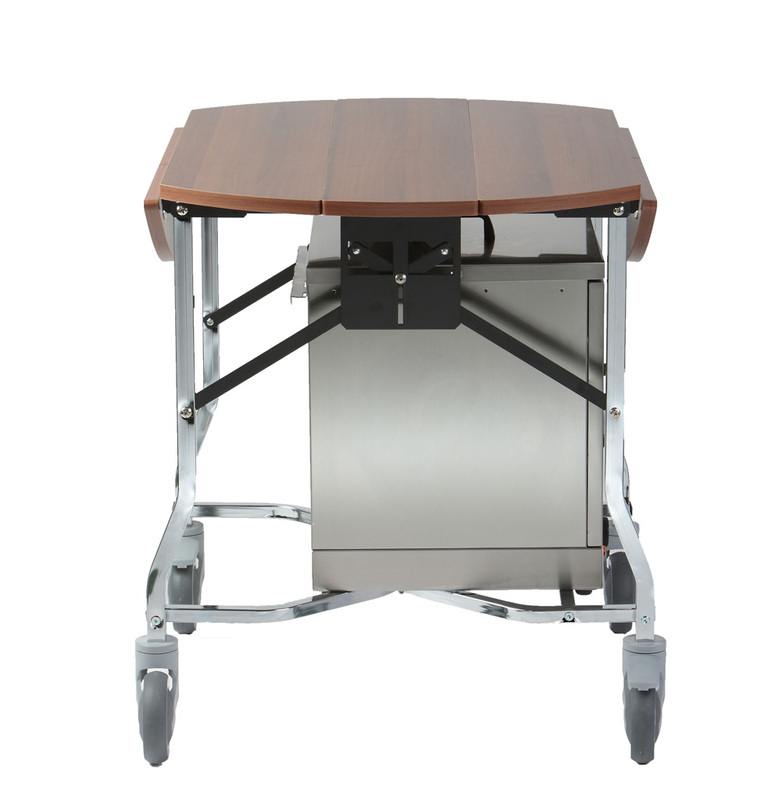 Also has a analog thermostat that regulates temperature (30°-90°C). 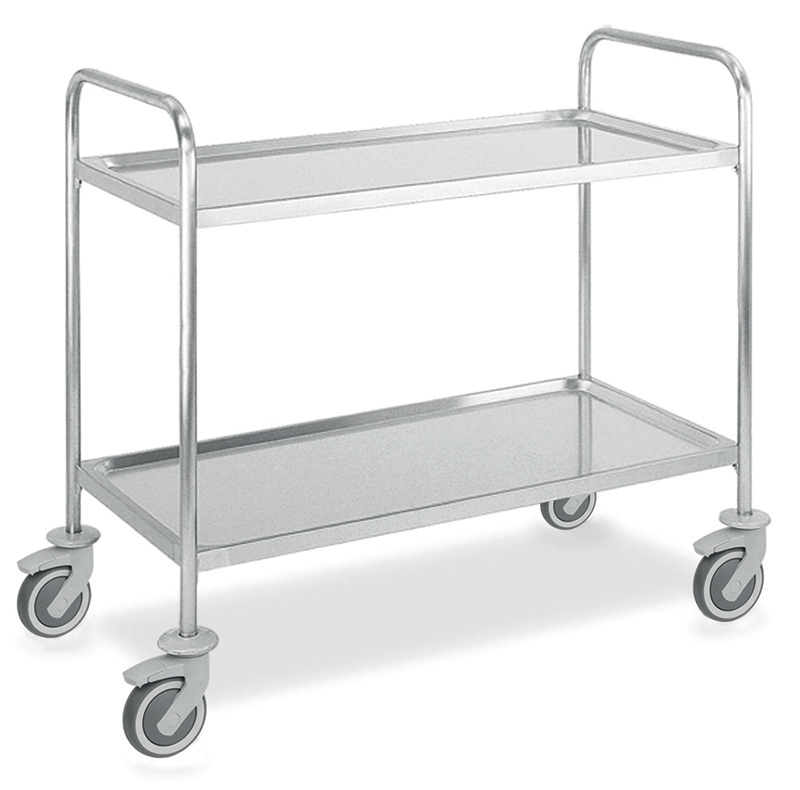 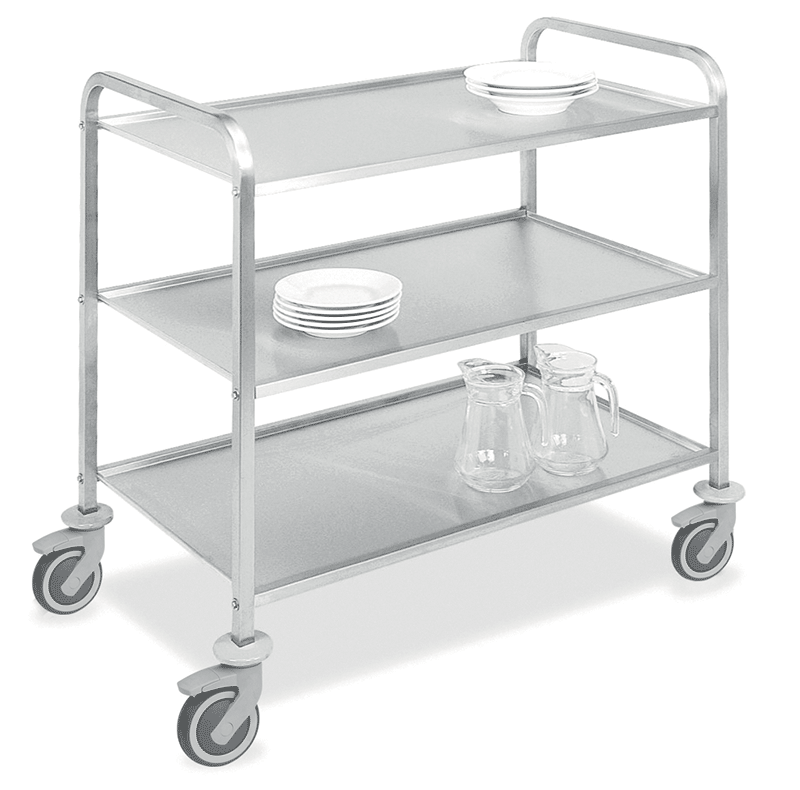 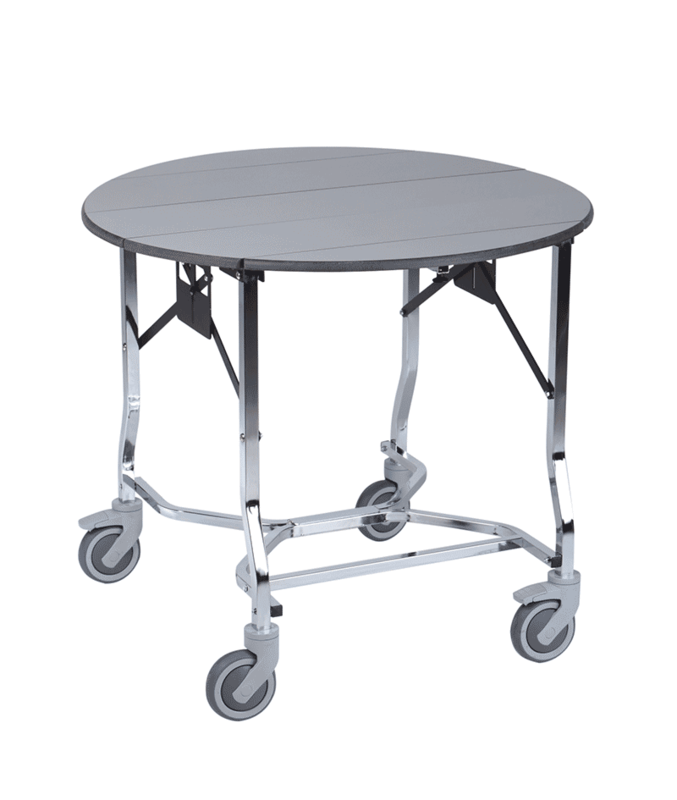 The CADDINOX is a lightweight and functional stainless steel service cart, that can be used in various places, and also in the kitchen. 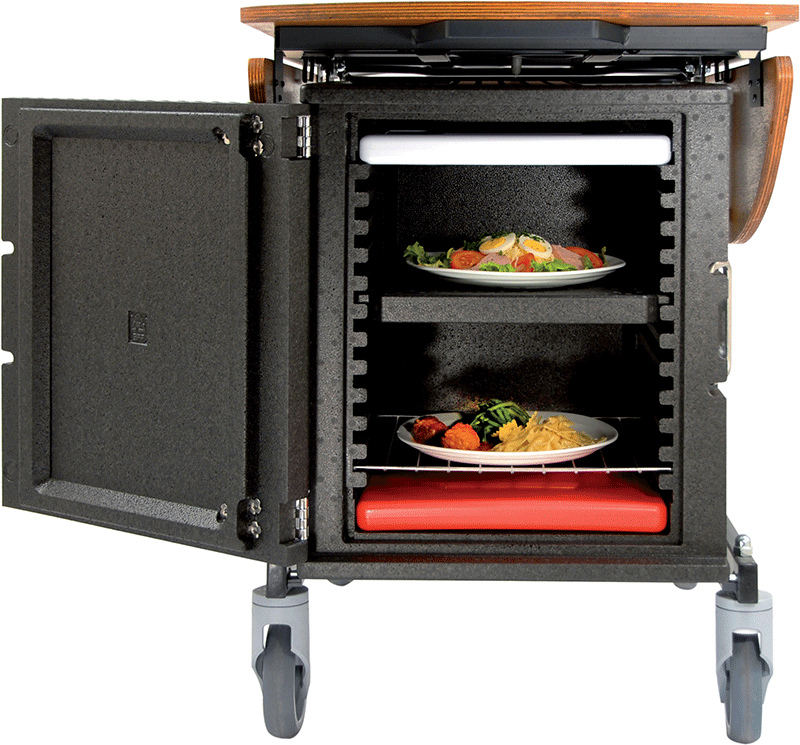 Cold and warm storage in one box: the THERMOBOX, made of expanded polypropylene foam, combines light weight with stability and strength. 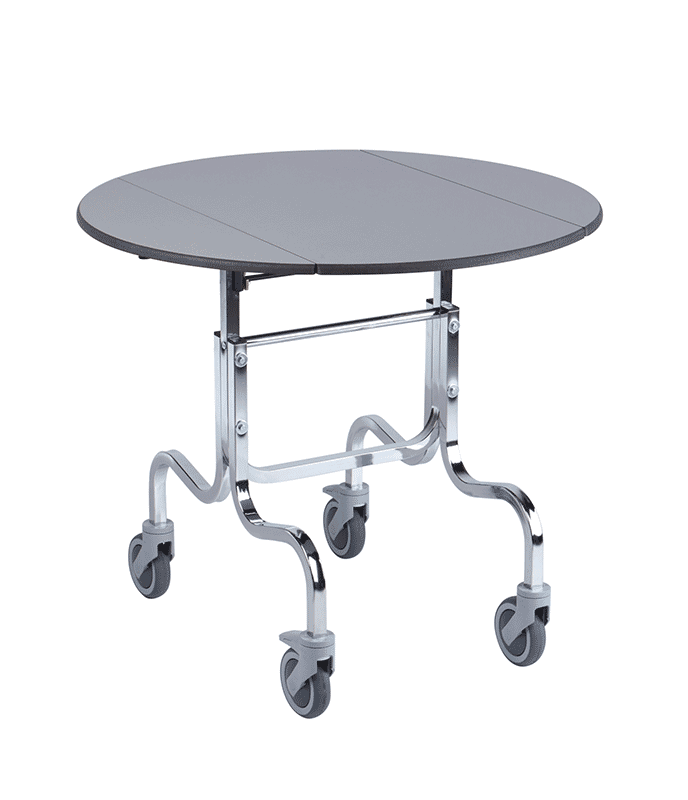 With its foldable width of only 33cm, the TABLE COMPACT is our most compact roomservice table available. 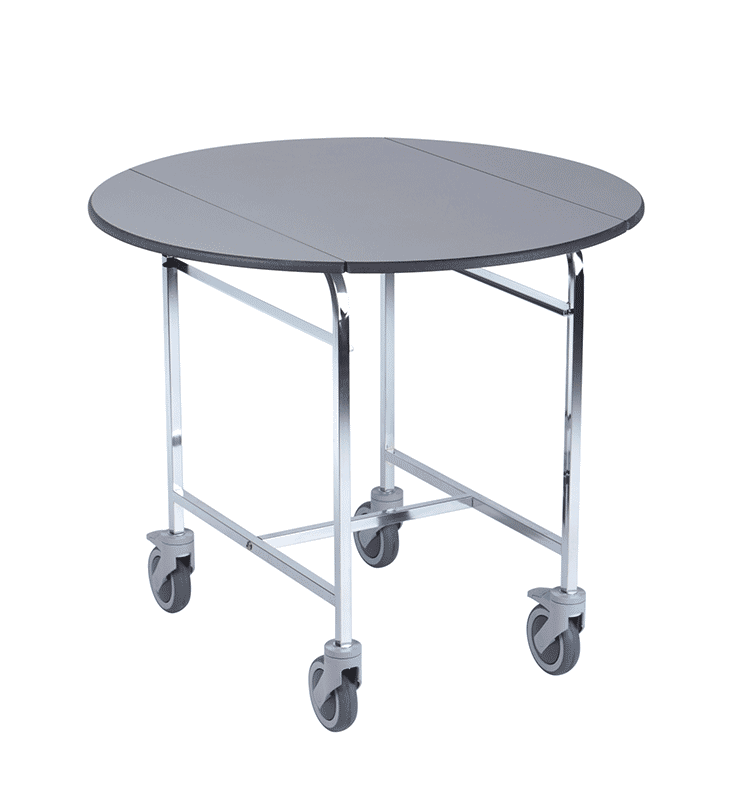 The TABLE EASY presents itself as elegant, convenient and quiet in usage. 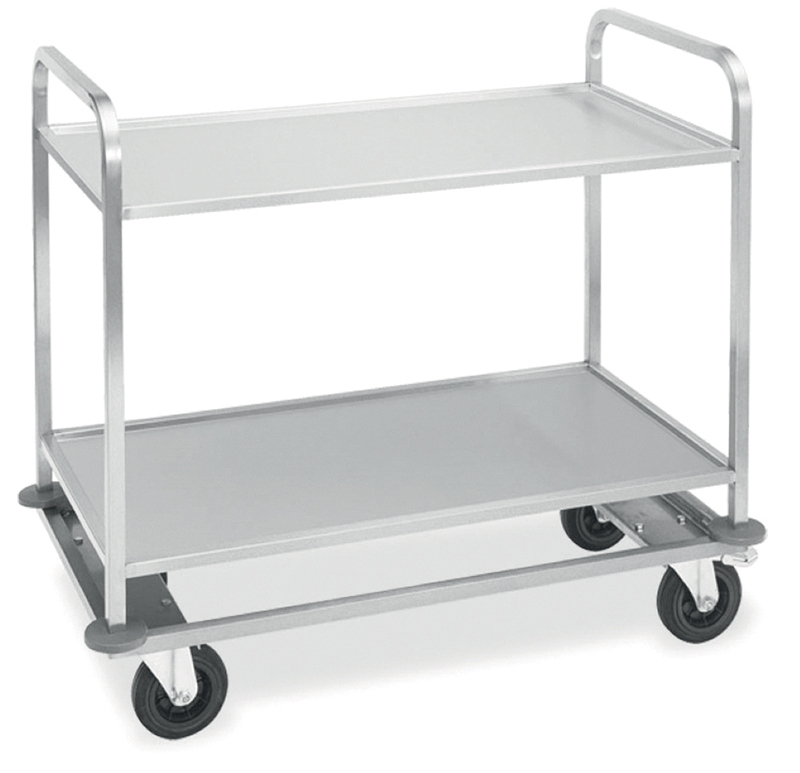 It is made for carrying up to 2 HOT BOXes. 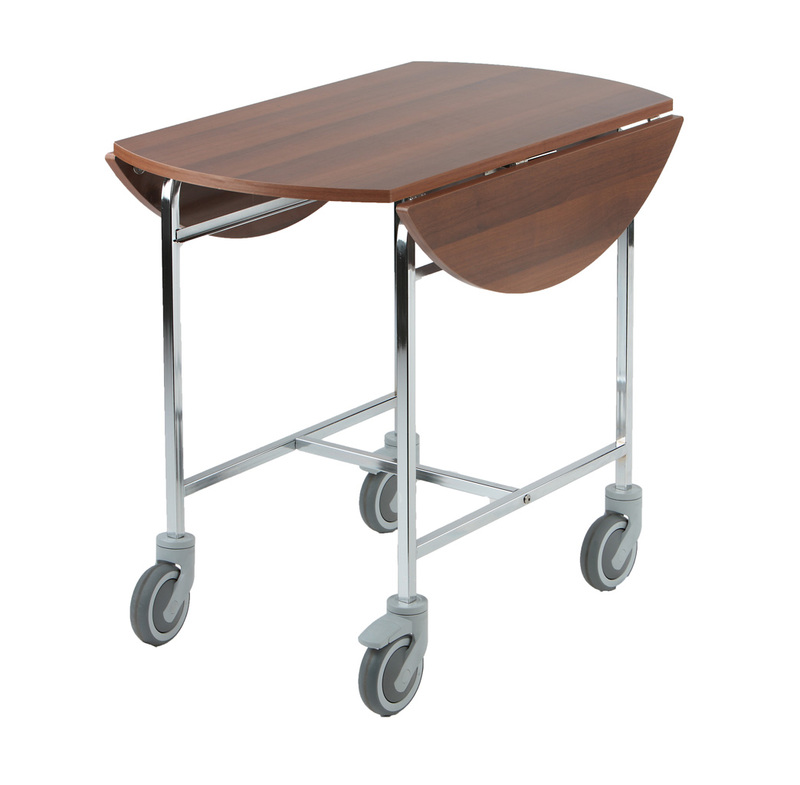 The unique characteristics of the TABLE FLIP TOP are its special folding mechanism, its stackable functions as well as its premium walnut fi nish table top.